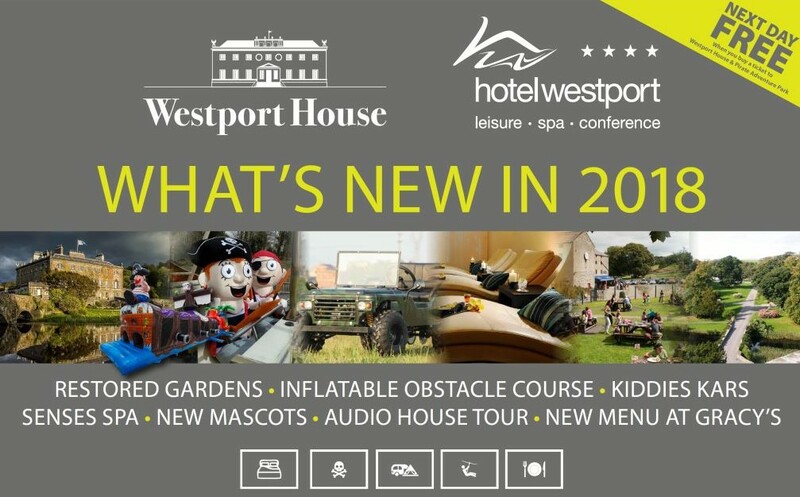 We are so excited to bring you details of some of the incredible new and exciting adventures happening across 2018 in Westport House and Hotel Westport. 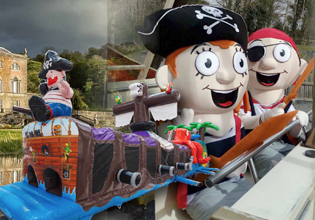 From free entry to brilliant new attractions to immersive guided tours to team building fun & games to camping out under the stars, to the most mouth-watering meals… we’re not even sure where to start with all that Westport House & Hotel Westport have to offer this season!! You’ll love the new family friendly attractions (the Kiddies Kars & Inflatable Obstacle Course are going to be so much fun, trust us) and there’s plenty to keep the older ones engaged too throughout the parks – see can you beat our high score on the Foot Dart Board (and don’t forget the archery, zipwire and Private Hawk Walks too)! 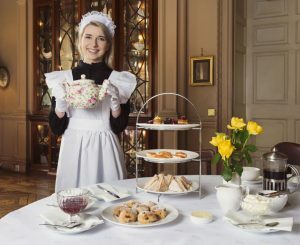 If you want to slow it down a bit there is a BRAND NEW fascinating guided audio tour app for Westport House itself, the Victorian Tea (served by your very own Victorian maid!) in the stunning Drawing Room and, the jewel in the crown in our eyes, the BEAUTIFUL gardens which are now FREE to everyone daily! Our team provide such love and care to the grounds and we are absolutely thrilled to showcase them to visitors. Did we mention the historic gardens are BEAUTIFUL?? And if you’re interested in learning a little more about them….rock up to the front steps of Westport House at 2pm from June 1st to August 31st to take the BRAND NEW Gardens Tour where you’ll learn all about the fascinating historic landscape. And why these gardens are so naturally beautiful. Um, don’t tell anyone but there’s nothing natural about it, it all about meticulous planning, tremenduous Victorian foresight and a team of hard working gardeners! To cap it all off you can enjoy all of the above on your doorstep…. 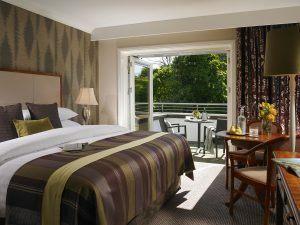 we have superb overnight packages for Hotel Westport which is LITERALLY a five minute walk from the House itself! 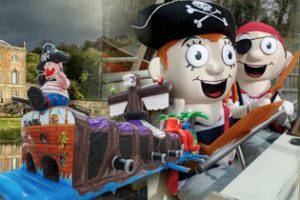 Check out the great prices here…/ Hotel Westport has package from €99 for 2 adults and 2 kids under 12 for a 1 night family break and that gets you 25% off tickets for the grounds too along with the exclusive Premium Pass that allows families staying in the hotel to go to the top of queue of every ride! If you’re on for something a bit more rustic why not bring your own camper van to our 3 star caravan & camping site…. OR spend a night under the stars! That’s right, we even have a nonsensically cool Bell Tent that sleeps two adults and up to four kids and we will provide the mattresses, lights and basic kitchen utensils. You just need to provide the duvets and the laughter and get yourself ready to do it all again the next day! So. What are you waiting for? We can’t wait to welcome you. Drop us a line with any questions to info@westporthouse.ie or call us on +353(0)9827766 . Fantastic new additions. So,so looking forward to heading down for afternoon tea. Brilliant!! Claire, thanks so much for writing – come down anytime, we would love to have you!